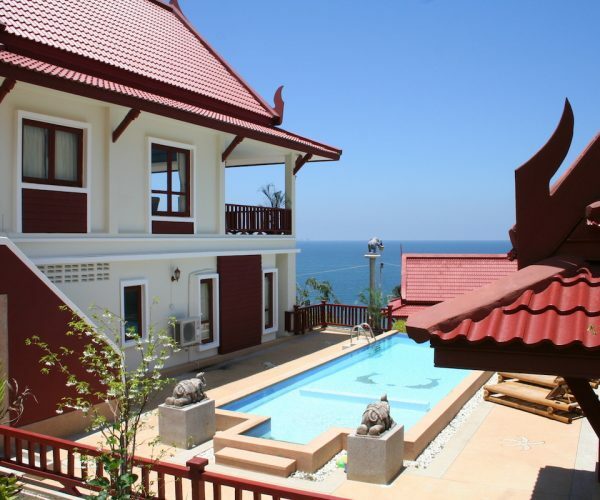 Situated on a hillside, on the southern part of Koh Lanta, you will find the Lanta ResidenSea. The picturesque Kantiang village and its beach is within walking distance of 6-7 minutes. In the village you find restaurants, massage, travel agents, 7-Eleven, small local shops, etc. Discover the nearby National Park. Distances to Long Beach is approximately 13 km and Saladan about 19 km – around 40 min by taxi. Generous two-story pool villa with extraordinary sea view over Kantiang Beach, at the south part of Lanta. The villa was upgraded to higher standard during December 2017.